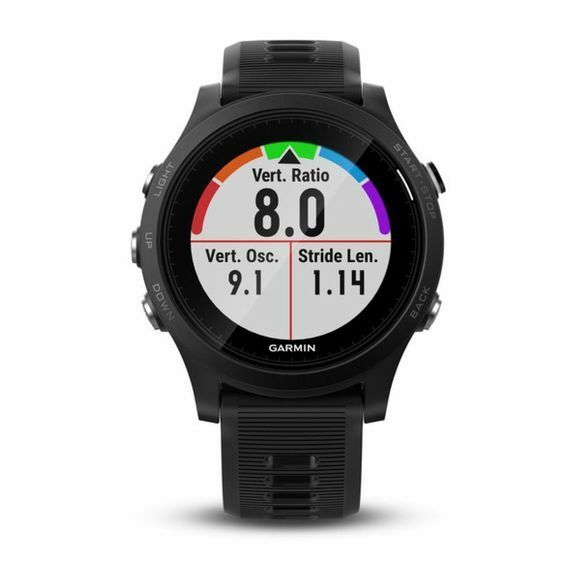 The Forerunner 935 from Garmin offers advanced running and multisport features in a comfortable watch you can wear all day, and it only weighs 49 grams. It provides elevation changes with a built-in barometer; altimeter and electronic compass help you keep your bearings. Evaluates your training status to indicate if you’re undertraining or overdoing it and offers additional performance monitoring features. It provides advanced dynamics for running, cycling and swimming, including ground contact time balance, stride length, vertical ratio and more. 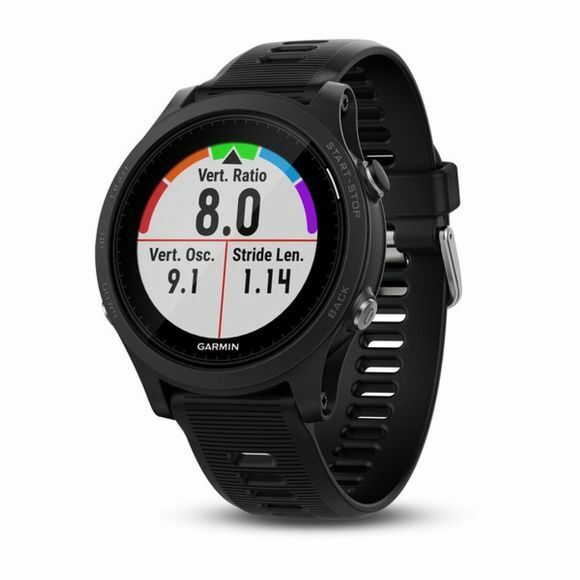 It has a battery life of up to 2 weeks in watch mode, up to 24 hours in GPS mode, up to 50 hours in UltraTrac mode with wrist-based heart rate, or up to 60 hours in UltraTrac mode without wrist-based heart rate. The Forerunner 935 GPS running/triathlon watch features a lightweight, comfortable design you’ll be happy to wear all day. The 935 is compatible with easy-to-swap QuickFit bands. With a band to suit every event, you can easily change from sporty silicone to classic leather and even high-end metal.